Implementing Cisco Collaboration Devices (CICD) – The CCNA Collaboration CICD training course aims to equip you with the skills and knowledge required to implement Cisco Unified Communications (UC) solutions. Among the various concepts covered during this course are the administration of telephony and mobility features, end-user interfaces and Cisco UC solutions maintenance, using Discovery Lab to learn about the principles and technologies. Implementing Cisco Video Network Devices (CIVND1) – The CCNA Collaboration CIVND1 training course aims to equip students with the characteristics of video solutions, evaluation of general requirements for video deployments including media formats, protocols, high-level architectural components, network impact and codec options. Implementing Cisco Video Network Devices (CIVND2) – The CCNA Collaboration CIVND2 training course aims to equip students with the skills and knowledge required to implement various Cisco Collaboration endpoints in converged Cisco infrastructures. There are no prerequisites for undertaking the CCNA Collaboration certification course. Candidates can achieve this certification by passing following exam(s) after the CCNA Collaboration Training. The students can gain following skills from the CCNA Collaboration Training. Providing an overview of administrator and end-user interface options in Cisco Unified Communications Manager Express, Cisco Unified Communications Manager, Cisco Unity Connection, and Cisco Unified Communications Manager IM and Presence Service. Understanding call flows in Cisco Unified Communications Manager Express and Cisco Unified Communications Manager. Performing endpoint and end-user administration tasks in Cisco Unified Communications Manager Express and Cisco Unified Communications Manager. Describing the telephony features supported in Cisco Unified Communications Manager Express and Cisco Unified Communications Manager. Administering users in Cisco Unified Communications Manager IM and Cisco Unity Connection and Presence Service, and enable the most commonly used features for both applications. Describing how to maintain a Cisco Unified Communications solution. 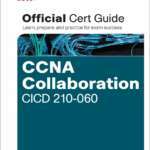 Following people can attend the CCNA Collaboration certification course. The following topics are covered during the CCNA Collaboration Certification course. What is included with the CCNA Collaboration Training Course?